This issue Dr Mike Posthumus responds to a reader’s question about the best ways to stay fit over winter and if he should invest in an indoor trainer. I always find that I tend to get quite unfit and put on a bit of weight during winter. What do you recommend I do to keep fit during winter? I don’t currently have an indoor trainer, do you recommend this approach? Lots of riders struggle to keep motivation during winter when early morning rides are dark and often wet. This is often a difficult time to maintain training focus and fitness. Yes, I do recommend indoor training, it is an extremely time efficient means of training. However, if you hate it or get bored with it, spice it up a bit by including short, sharp and focused high intensity training sessions. There are some excellent smart trainers around. 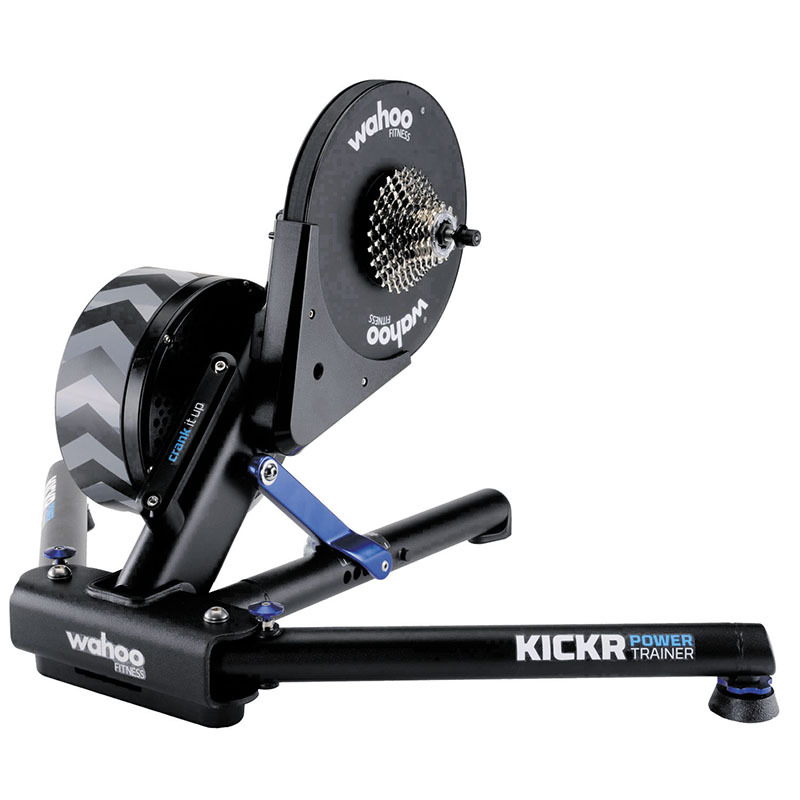 One such example is the Wahoo KICKR. I really enjoy using software (Such as Perfpro, Trainneroad, Hurts Ergo) that allows you to ride a pre-designed workout in .erg mode (a mode which sets the specific wattage and changes the smart trainer to maintain the specific wattage). When I design these workouts I include several changes of intensity to keep things exciting and to challenge myself. These workouts can be performed in as little as 45 minutes and can have the effect of much longer rides outside. If a smart trainer is out of your budget, you can get similar quality work done on a more basic fluid trainer. I like fluid trainer’s because they create a good “road feel”. Several videos (like the Sufferfest) or virtual reality platforms (such as Zwift) may also make spending time on the indoor trainer more bearable. However, be aware of the amount of high intensity workouts you do. Try to limit it to two to three times per week. In South Africa specifically, I have found that many guys really battle technically when things get wet. Therefore, I would also suggest to use the winter months wisely to work on your skills in the wet and slippery singletrack. When it has been raining and you know the trails are wet and slippery, this may be the best time to go out and simply have fun. This is often the best time to enjoy the trail and work on your wet weather riding skills. Include 2 to 3 high intensity workouts on your indoor trainer to spice things up and keep it exciting. Sessions can be as short as 45 minutes. Don’t neglect riding outside in the wet. Riding wet singletrack can dramatically increase your skill level.